One of the most important things you can do to take proper care of your home is gutter cleaning and roof cleaning as well as gutter and roof maintenance. 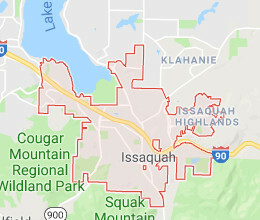 Issaquah residents can rest assured that Pro-Long Roof Care is your trusted source for these critical services. We are a family owned business and have dedicated ourselves to providing our Northwest neighbors with top quality, friendly service. 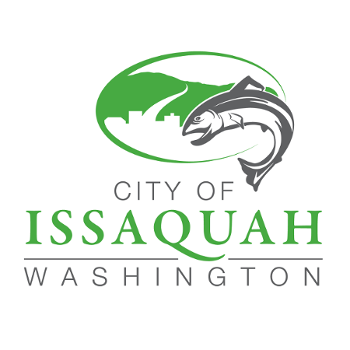 We provide Issaquah roof cleaning, repair and gutter installation for both residential and commercial properties. We service all types of roofs for roof cleaning and we repair and maintain wood shake and asphalt composition roofs. The climate and vegetation of the Pacific Northwest make it extremely important to keep your roof clean and gutters clear. The build-up of moss, leaves, needles, pine cones, branches and other debris can happen quickly. Once it begins to accumulate, it traps moisture between the debris and the roofing material, while clogging your gutters. This is a recipe for disaster. Roofs are designed to breath - they require air circulation, just like attics and basements. If your roof stays wet for an extended period of time it can quickly decay. Gutters fill and water backs up to the roof. Once a roof begins to decay it jeopardizes everything it's designed to protect. Water damage isn't just limited to the sub-roofing material or roof joists because water can seep many feet beyond the surface. We offer several cleaning methods and like to recommend which of these is best for you, depending on your needs and goals. For example, some people prefer the fresh look of a shake roof that has been cleaned with water under pressure (also known as "pressure washing"). Using this method can be fast, but there is a trade off. This method is not the best for preserving the life of your roof unless accompanied by a restorative treatment like TWP - Total Weather Protection. The other method is to use our more gentle air washing system, which can be combined with a liquid moss roofing treatment and optional coloring. Since there are more steps involved, this process can take a little longer to achieve the same clean, fresh look but the results are worth it. One of the advantages of being a local, family-owned business is our wish to create long-standing relationships with our customers. Before we begin we meet to discuss your project with you so that we can provide exactly what you need.